This is the first book in a new series for boys 7+ who not only love footy but who play any team sport. At the core of each book is the guidance of legendary Billy Slater, fullback for the Melbourne Storm, Queensland Maroons and Australian Kangaroos. Each short-chapter book tells the story of one of the players of the Under 11s team, the Ravens. This time it’s Josh’s story. His dad’s away, his mum is busy with the new baby and his greatest supporter, his grandad, is embarrassingly over-the-top when it comes to cheering from the sideline. Josh is so nervous about his first footy game that he dreams he’s forgotten to wear his uniform. He’s running for the line with the ball in his Superman undies. Every boy who has ever had to get ready for footy will be excited by the descriptions of the pre-game preparations: footy boots, shoulder pads, mouthguard – check! And they will recognise the ‘herd of elephant-sized butterflies’ stampeding in their stomachs. 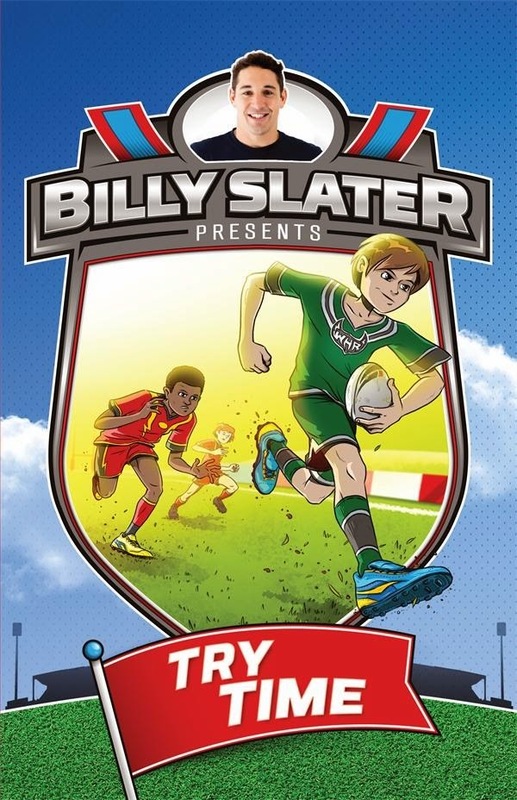 Enter Billy Slater, friend of Coach Steve and footy hero to the boys. At their footy practices Billy homes in on what each boy needs. He takes Josh aside and says, ‘the yips are when you worry so much about not being able to do something that your body forgets how to do it.’ This is not a didactic series but blends the reality of playing football with the wisdom of those who have done it all before. With its plethora of footy action, quick pace and short-burst sentences, the climax is exciting indeed. The black and white drawings create a visual connection for the reader. There is added value in the players’ profiles at the back of the book as well as handy footy tips on tackling and catching a pass. Try Time is about having fun, working as a team and self-belief regardless of ability or background. It’s the whole footy package.